With the Celestine Blend Interlocking Glass/Stone Blend Mosaic Wall Tile, it's easy to add a splash of contemporary styling to your decor. Mounted on a 12 in. x 12 in. mesh sheet, this tile is easy to install in a variety of design schemes. 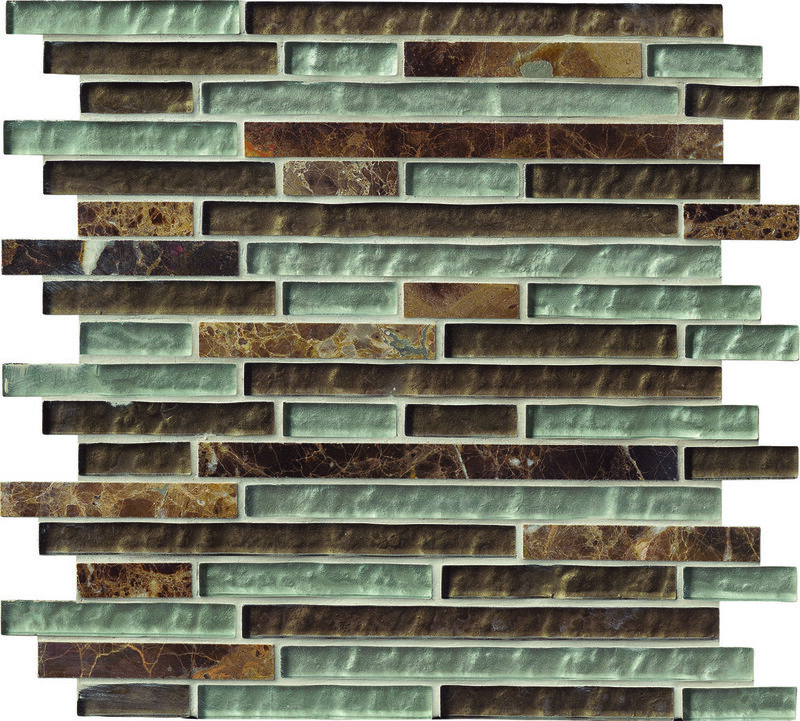 With random length pieces of dark brown marble and rippled glass, this tile creates a distinct pattern. Mosaic Tile - Glass Stone Blends - Black Marquee / 5/8"x5/8"
Mosaic Tile - Glass Stone Blends - Ibiza Blend / 1"x1"
Mosaic Tile - Glass Stone Blends - Silver Tip / 2"x5/8"
Mosaic Tile - Glass Stone Blends - Sonoma Blend / 1"x2"
Glass and Stone Blend Black Mosaic - MISC COLLECTION - 12" x 12"